This colorful CAMPING THEME chevron poster set is ideal for any classroom! 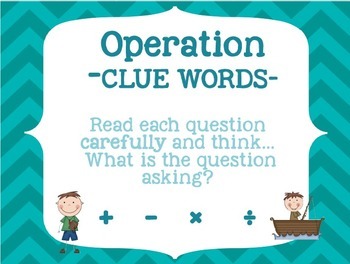 This is a great reinforcement tool for students to use when completing math problems. 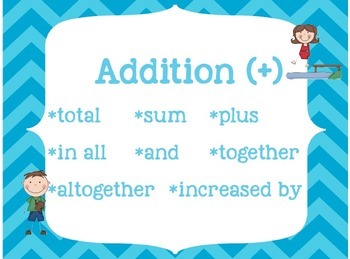 This set includes a poster for addition, multiplication, subtraction, and division. Each poster includes key words that support their operation. 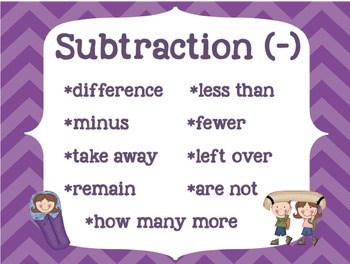 These posters can be displayed on a bulletin board to help students remember the strategies you are constantly repeating!